AUTOCULTURE was founded by Will Bolton back in 1947 and fast became a respected repair centre for horticultural equipment in the East Grinstead area. The Searle family purchased the business in 1960 and have continued to build the business with quality products for three generations now. During the early 90s, IBEA became an important product for AUTOCULTURE, firstly as a retailer and then later as a UK Distributor. This relationship continued through into the new millennium with AUTOCULTURE promoting a full range of garden machinery from this quality Italian designer. When a change of focus saw us move towards parts backup rather than complete machine sales, IBEA import was moved to another UK supplier. In 2015 IBEA became absorbed by Active, an Italian company, who continue the production of the IBEA range in the same purpose built production plant in Italy using parts designed and primarily sourced from the Euro Zone. 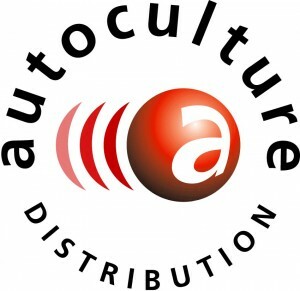 AUTOCULTURE are proud to be allied once more with this prestigious brand and look forward to building the IBEA name once more in the UK market. Available for Autumn 2015, the IBEA TURBO range of leaf and debris collectors kicks off our new relationship with more to follow. Autoculture are working towards a full UK coverage of dealers by the end of 2016 offering the comprehensive range of IBEA garden equipment, parts and accessories.